Most of the time I tested the caddis on Canterbury Braided Rivers as many of these remain open for winter fishing and in particular the month of May offered some of the most stand out angling we have seen for many years and its always a pleasure getting out for some personal fishing time as well sharing experiences with friends. These large rivers are unique to Canterbury and often flow in a series of braids over very wide and expansive stoney river bed, the pattern and course of these braids frequently change every time the river freshes or floods due to their expansive Southern Alp catchments but there is many times the flow stabilizes and it’s these that form the best times to fish them. Because of the sheer volume of water and relatively small population of trout a certain skill set is required to be effective and even then no guarantee (that’s fishing and keeps us engaged ). The main channel can be ok, but you are far better looking for smaller-medium sized braids , at times even the smallest of braids can hold fish and approach these from behind and fish up stream with a caution. Look for parts of the river with slower flows, drop offs, any form structure (boulders – trees etc) and in particular runs that consist of larger stones. Observing sections of river that have have algae on the river bed often imply stability and more potential to hold fish. Because of the low population – keep moving and cover vast amounts of water! Often we find great looking water holding nothing then you can find occasional accumulations of fish (Peter Langlands and I recently landed 8 fish from 1 small section). 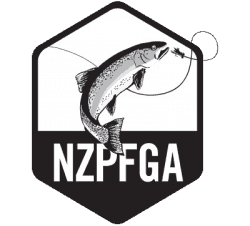 The most consistent method is upstream nymph fishing using a large highly vizable indicator and 2 nymphs, be sure to experiment with getting depth correct and use a 2 nymph rig, also at times swinging streamers both large and micro can produce and makes it easy to over large amounts of water. Filming has been a keen focus and you will find superb Indicator and nymph patterns on Universal River Nymphs DVD. 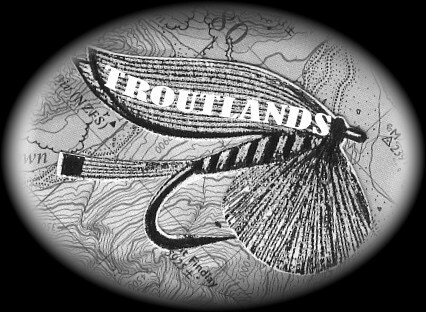 Also Troutland’s Volume 2 DVD has a section called “The Braids” informing anglers how to improve their results on such water. View our DVD’s page here.